Posted November 4, 2011 by sophie & filed under Uncategorized. Go to the blog on http://artiststalkmoney.ning.com/ and read my three blog posts on cultural work as wage labour. Please add your comments! Posted October 7, 2011 by sophie & filed under Uncategorized. 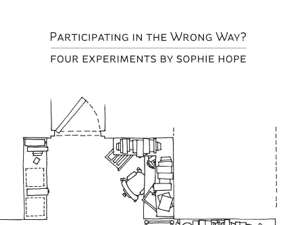 Participating in the Wrong Way? What is the future for art in the public realm? Posted May 12, 2011 by sophie & filed under Uncategorized. 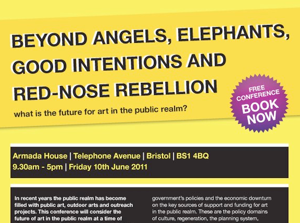 Free conference in Bristol, Friday 10th June, 2011. Another glance into the crystal ball! See the link above for programme details. I’m doing a workshop tackling issues of evaluation with Rod Varley.